Certified industrial hygiene, safety and hazardous material management services. Mold testing, asbestos inspections, laboratory services, air sampling, noise monitoring, written reports, specifications, programs and plans. 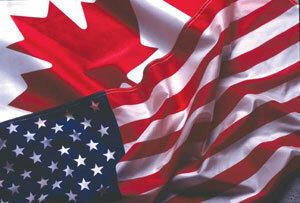 CanAm Environmental Safety, Inc. is an industrial hygiene and environmental services firm. We are committed to providing quality services at a fair price. Incorporated in 1991, CanAm has been providing Certified Industrial Hygiene (CIH) and Certified Hazardous Material Management (CHMM) services for nearly 20 years. Our passion is to cost effectively help clients meet daily environmental health and safety demands placed upon them. We work with engineers, architects, building owners, property managers, and facility directors to address and remediate environmental health and safety concerns. We specialize in certified industrial hygiene services and have full time staff certified by the American Board of Industrial Hygiene (ABIH). 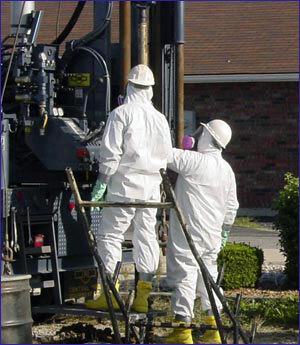 Our services include: air monitoring, exposure assessments, asbestos inspections, asbestos project monitoring and air sampling, mold testing and abatement, chemical disposal, laboratory services, sampling and analysis, training, policy and program development, property audits and emergency preparedness planning. Project management, coordination and over sight for environmental remediation projects of any size are additional services we provide. I will be personally committed to you if you choose CanAm Environmental Safety, Inc. as part of your organization's industrial hygiene, safety and environmental services team. Dr. Duford, CIH has over 20 years of experience in occupational and environmental health, building inspections, industrial hygiene, safety, site remediation, and environmental compliance. He is certified in the comprehensive practice of industrial hygiene by the American Board of Industrial Hygiene and by the Institute of Hazardous Material Management as a Certified Hazardous Material Manager. Dr. David Duford holds a Bachelor of Science (BS) in Health Science, a Masters in Science (MS) in Industrial Hygiene, a Master of Science in Education (MSEd), and a Doctor of Education (Ed.D.). His doctorial research focused on policy implications associated with pandemic influenza and its impact on K-12 schools.